Connect the power cable and open the screen. Press the Let’s Go button. Uncheck the checkbox and select Accept and continue. If you have a personal Gmail account, you are more than welcome to use it. Go ahead and sign in with your @gmail.com account and password. If you’d rather keep things separate or if you don’t have a Gmail account, you will have to make a new account for logging in to this laptop. To do this, select more options > Create account. Follow the prompts to create a new Gmail account and password. Open Chrome by clicking on the icon at the bottom of the screen. In the address bar at the top of the screen, type “VMware Horizon Chrome” and press enter. Click the top link of the Google search. Click on the blue Add to Chrome button on the right. Once it is finished downloading, click on Open. Click on the VMware Horizon icon at the bottom of the screen. It will ask for Server Name or Address, enter mypc.jetlinx.com. Leave the Server Description blank and click on Connect. 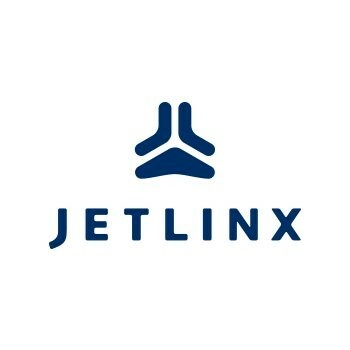 Enter your Jet Linx Username and password and press Connect. Select your desktop and it will connect you to your virtual PC.